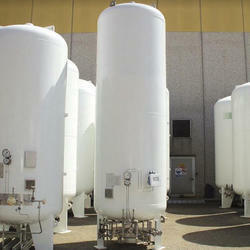 we are involved in offering a large range of cryogenic cylinder vacuum insulated tanks in various sizes. We bring forth our vast industrial experience and expertise in this business, involved in offering high quality range of Insulated Storage Tank. Being a prominent name in this domain, we are engaged in presenting an enormous range of Vacuum Storage Tank to our clients. The Vacuum Storage Tank is widely used for transporting liquid gases in numerous industries. Furthermore, our clients can avail this product at industry leading prices. We manufacture and supply Vacuum Insulated Cryogenic Storage Tanks, which are perfect for storage of acid and other corrosive chemicals. 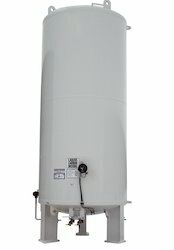 These Vacuum Insulated Cryogenic Storage Tanks are designed as well as manufactured in both vertical and horizontal manner for over ground and underground installations.